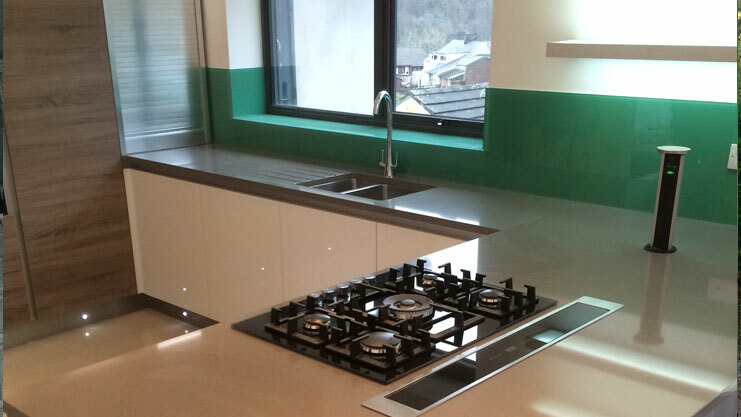 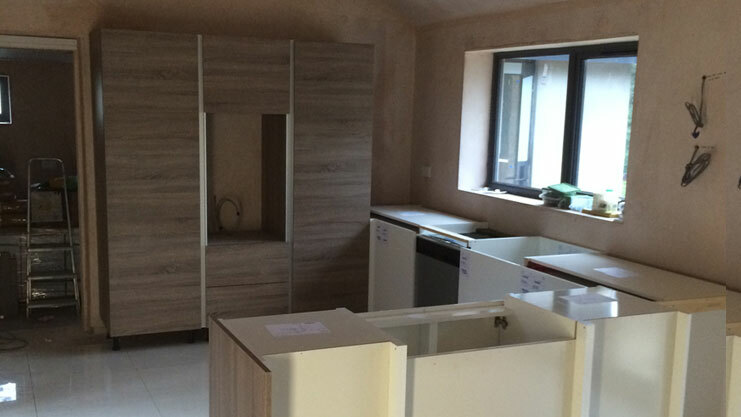 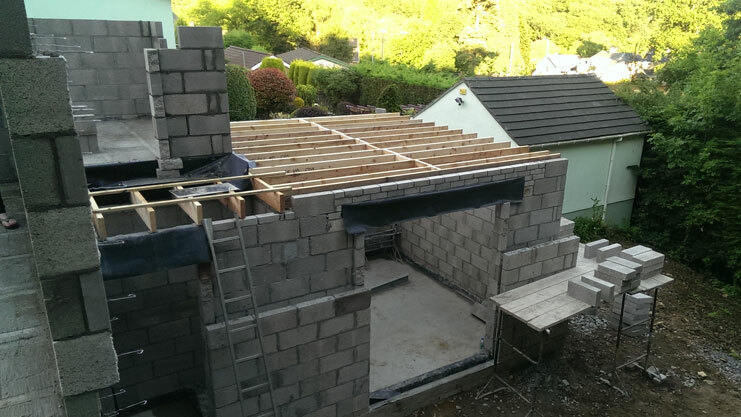 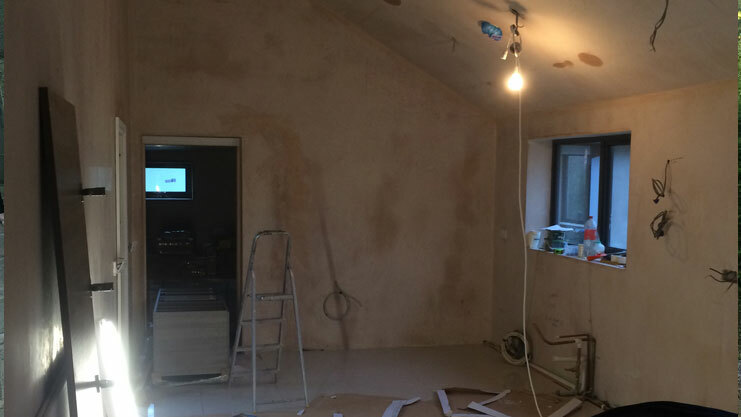 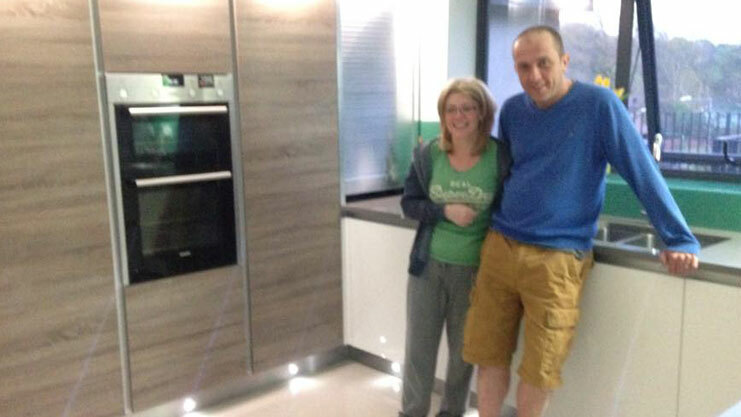 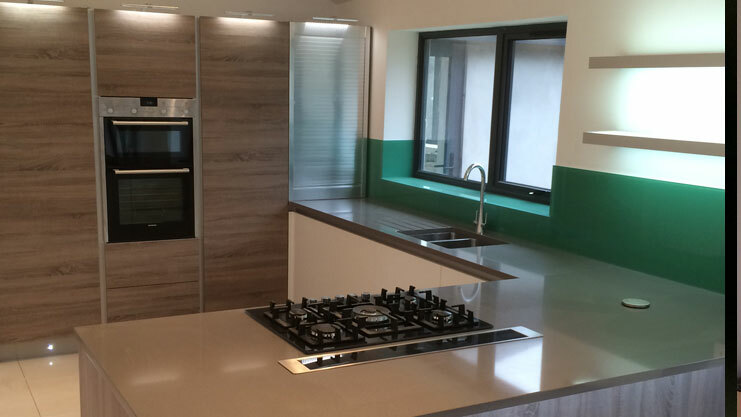 Our clients Rhian & Sean were building a grand design bespoke home near woodlands in Bridgend and wanted a contemporary styled kitchen which incorporated materials relating to the buildings surroundings to suit the rest of the property. 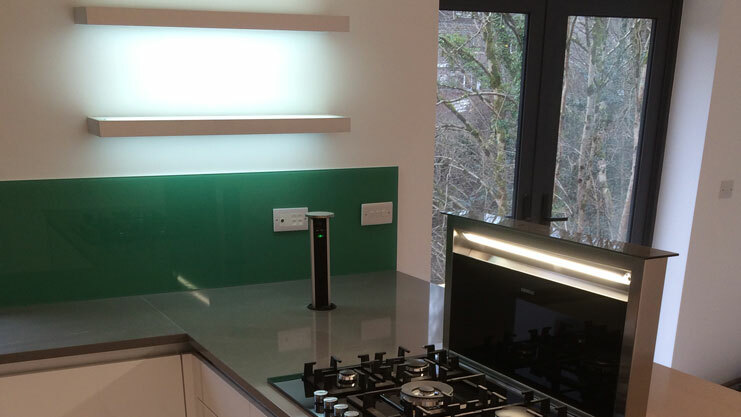 We designed an open plan kitchen using handleless white gloss, truffle oak, quartz & forest green glass splashbacks - all to help reflect the natural light back into the living space. 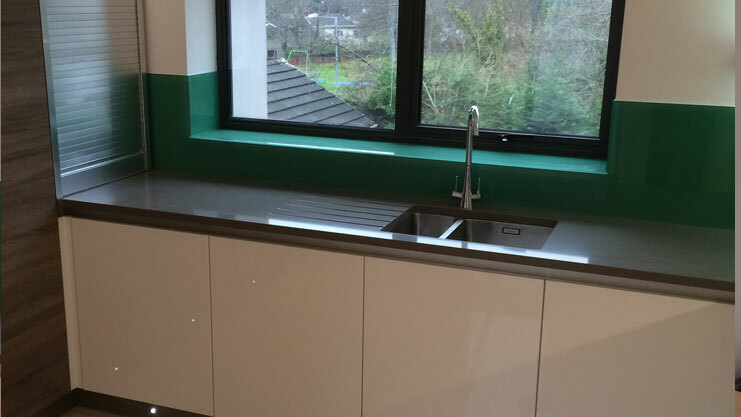 The colours work beautifully with clever storage using Le mans corner units, hidden internal drawers, a pop up electrical socket and a hidden Siemens downdraft extractor. 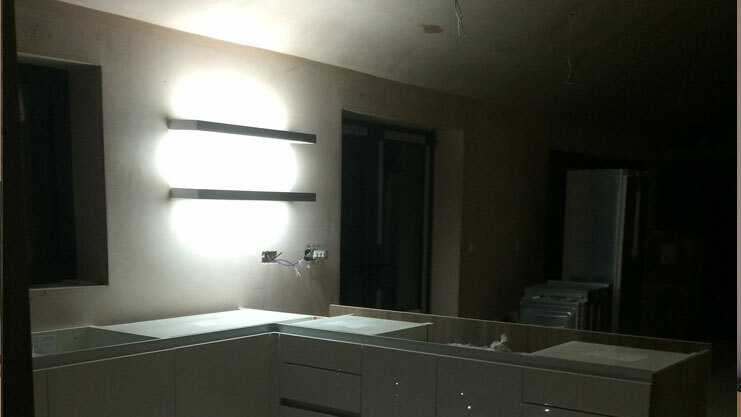 The design was carefully thought out to conceal all of the appliances except for the oven and hob, so that from the lounge and dining areas the kitchen appeared very "furniture" like rather than obviously "kitchen" space. 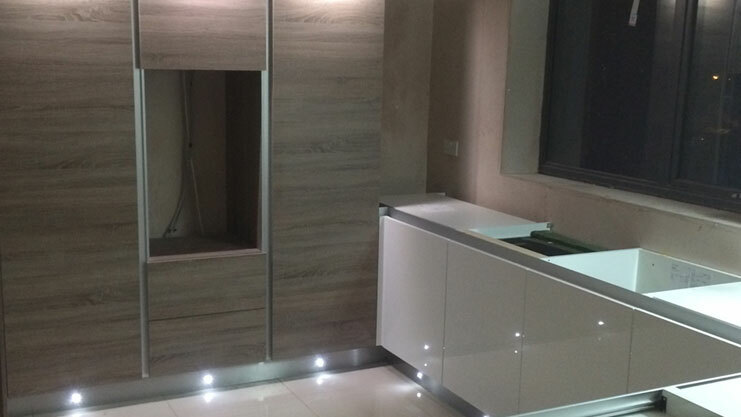 Due to unprecedented demand, it would be highly recommended that you book in advance your design consultation with Richard at a time suitable with you.